TL; DR: DreamHost strives to improve the cloud hosting space by turning developers’ “dream” solutions into an engineered reality using open-source technology. Their developer focus has resulted in some performant and popular technologies, including solutions for cloud computing (DreamCompute) and object storage (DreamObjects) and a distributed file storage system (Ceph), which RedHat purchased for $199M. Follow DreamHost’s history in our write-up of their impact in the development community — followed by our in-depth performance testing for DreamCompute. DreamHost certainly shines in their commitment to open-source innovation — with an investment in and an understanding for developers in particular. Their dev-minded approach is evident in their custom products, with impressive performance results. “It helps that we’re developers ourselves,” said Brett Dunst, VP of Brand and Community for DreamHost. “We try to build a service that we would use ourselves.” Brett gave us the full run-down on DreamHost’s history and their impact in the developer community. Then we got an under-the-hood look at the cloud products themselves — check out what our team and the team that built DreamCompute had to say about it below! DreamHost began in a time when web hosting was hardly an established technology, let alone an industry. Four college friends: Dallas Bethune, Josh Jones, Michael Rodriguez, and Sage Weil, embarked on the journey to build what would become DreamHost from a dorm room in 1997. After setting up some sites for themselves, they acquired local clients whose websites they built and hosted from a single server. Eventually, these boys graduated, and so did DreamHost — moving from Harvey Mudd College campus in Claremont, CA to a 1920’s art deco building in Huntington Park, CA (later expanding to one office in downtown LA and another in North Orange County). DreamHost operates with developers in mind — using open-source technology to challenge the scope of cloud hosting. As DreamHost continued to expand, they continued to concoct new solutions to help their customers grow as well. The Cloud is certainly the virtual world to head to if you’re seeking scalability and DreamHost whole-heartedly believes that open-source technologies can help you get there more efficiently. The foundation of their open-source platform has inspired impressive in-house technologies, including DreamObjects and DreamCompute, which we got to take for a spin. DreamObjects is DreamHost’s solution for cloud-based object storage, which is particularly appealing for app developers or anyone who has big data storage needs. The system is compatible with the APIs of both Amazon S3 and OpenStack Swift, so if you’re currently storing your application data on either of those platforms, you can redirect the hosting to DreamObjects and start storing for less cost relatively instantly. Brett told us the reason DreamHost is able to compete with folks like Amazon from a price perspective is their use of an open-source distributed file storage system created by Sage: Ceph. He explained that over the years as they watched their hundreds of servers and thousands of hard drives die (a natural course of hardware life that was just magnified due to DreamHost’s scale) they realized they needed a distributed storage system that could handle that. 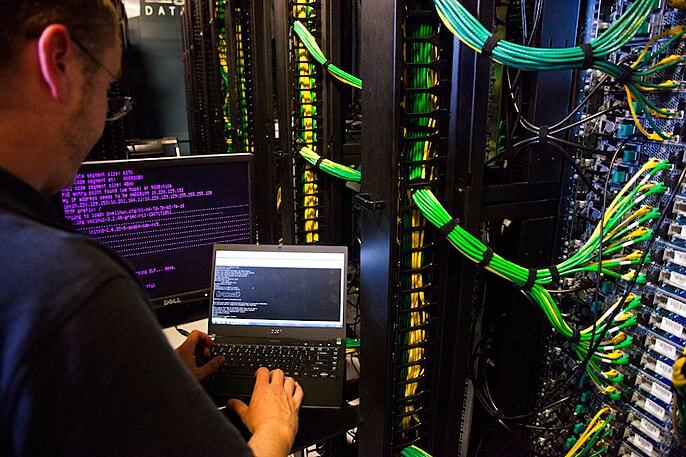 “At the time, there were tons of storage systems, but they were mostly proprietary solutions that companies like NetApp had developed in house,” Brett explained. “Ceph was our attempt at taking an open-source approach to attacking that storage issue.” Ceph is extremely resilient, capable of handling petabytes of data (across thousands of servers and multiple locations), and it serves as the foundation of DreamObjects. DreamHost’s distributed file storage system, Ceph, and spin-off company, Inktank, were bought by RedHat for $199M! After realizing Ceph had the potential to change the scope of the storage industry, DreamHost started a spin-off company called Inktank in 2012. As expected, Ceph took off and was sold to RedHat for about 199 million dollars in 2015. “Ceph has gone on to power many storage-intensive tasks, including NASA and many large organizations,” Brett said. Our CTO, Ryan Frankel got to thoroughly test DreamCompute — and not without the help of its readily-available dev team. As he was getting started, he turned to DreamHost’s IRC channel with questions, where he found QA Engineer Chris Lee (@clee), VP of Cloud and Development Jonathan LaCour (@cleverdevil), and Cloud Systems Engineer David Wahlstrom (@drwahl). “I’d say the underlying technology behind it (DreamCompute), half of which Dreamhost put a LOT of effort into, is pretty unique,” Chris said when asked what specifically stands out about the product. He’s of course talking about Ceph, as well as Astara: the open-source network orchestration platform that’s supported by a company called Akanda. “I’m not aware of any other public OpenStack clouds with both Ceph and Akanda available.” For more from Chris and the team, catch them on their IRC channel (#dreamcompute) or find Chris on Twitter (@slashclee). Big thanks to Chris Lee (@clee), Jonathan LaCour (@cleverdevil), and David Wahlstrom (@drwahl) for their help on this! The pricing model for DreamCompute is pretty fantastic: flat monthly fees starting as low as four bucks and some change for one instance, 512MB of memory, and one dedicated IP. “Our price points are more in the range of the “unmanaged VPS” providers out there,” Jonathan said. “In fact, we’re less expensive than all of them.” He’s talking about virtual hosting plans with very minimal services included, and DreamHost certainly gives those providers a run for their money with this technology and price point. Included among the “bonus features” that you don’t often find with other cloud solutions providers are private networking, layer 2 isolation, the ability to snapshot, and full OpenStack APIs. Ryan was really impressed by the capability that DreamCompute offered during his testing, but don’t take my word for it. You can check out his full write-up on DreamCompute performance here. Today the DreamHost team is about 200-strong and about half of those folks are dedicated to tech support, which is all done in house. “Everybody here is really empowered and really trained to actually solve problems rather than pushing it off on somebody else,” Brett said. That attitude is reflected in DreamHost’s workplace culture, company decision-making, and customer treatment. Annual “Reach Out & Touch You Tour” to Connect with Customers: Each year, the company hosts community gatherings at local bars in cities that have a strong presence of DreamHost users. They invite any nearby DreamHost customers to come hang out, hear a little background on the company, and share their personal hosting experiences with the DreamHost team. “We do engage with our users wherever we can, so we’re always receptive to that feedback,” Brett said. WorldBlu Certification for Democracy in the Office: DreamHost prides themselves on the democracy that is held in their inner-office matters. The company proudly holds the WorldBlu Certification: recognition for being on the WorldBlu List of Democratic Workplaces. “That means different things to different people; it even differs among folks on the list, but it really means we’re inclusive of as many voices as possible when making decisions,” Brett commented. All-Hands Involvement in Decision-Making: When it came time to interview potential CEO candidates, DreamHost held an all-hands Q&A session where employees could ask the potential CEOs questions about their processes, expectations, and goals for the company. 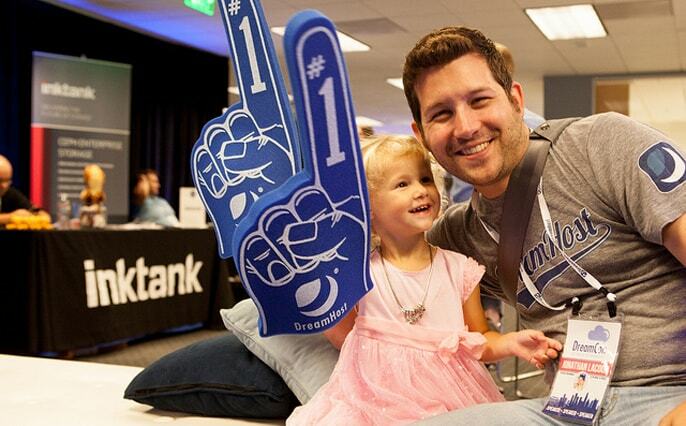 DreamHost ended up hiring the #1 employee pick: Simon Anderson. Named One of the Top 50 Places to Work: For the last five years, DreamHost has been recognized as one of the top employee-voted places to work based on the results of surveys put together by Workplace Dynamics and the OC Register. DreamHost has an all-hands-in approach to engaging their team members and connecting with their customers in order to provide a premier hosting experience for everyone. 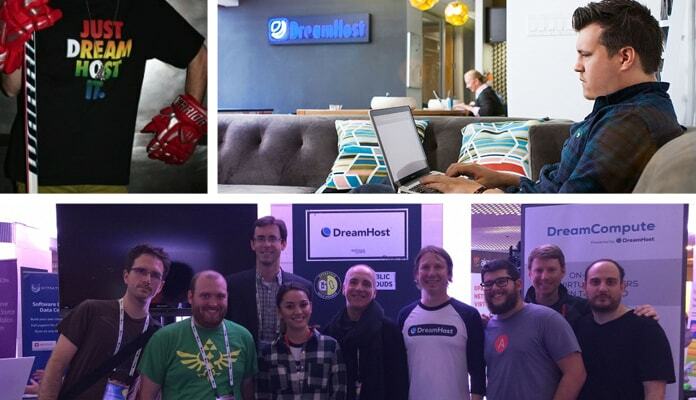 While leading the dev community with code, DreamHost supports their employees with a democratic work environment. With an emphasis on open-sourcing and an understanding of developer needs, DreamHost continues to challenge the hosting space. While totally bootstrapped in the beginning, they’ve grown to support over 400,000 customers, hosting 1.2 million domains with a team of 200 hosting innovators. What began with four college buddies, one server, and a passion for open-source software has evolved and grown to create a lasting impact on the Web.